The Official Phineus: Magician for Hire role playing game... and much more! 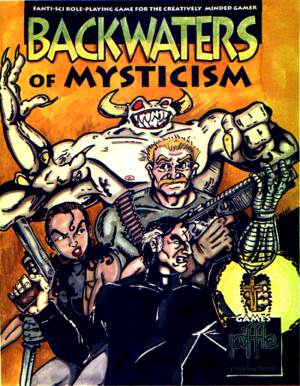 Attached here are the basic rules for the blockbuster role-playing game Backwaters of Mysticism! Simple to use and as detailed as you want them to be, Backwaters allows you to tailor your role-playing to any world you choose! This title was added to our catalog on July 04, 2010.